The packets of seeds have arrived in the post from Rossinver Organic Centre…little brown packets of possibility. Every year I marvel that these tiny seeds can grow into enormous tomatoes, cucumbers, lettuces. onions, chillies. 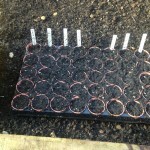 My plant trays are filled with compost and I painstakingly put one seed in each little module:I hate thinning seedlings. 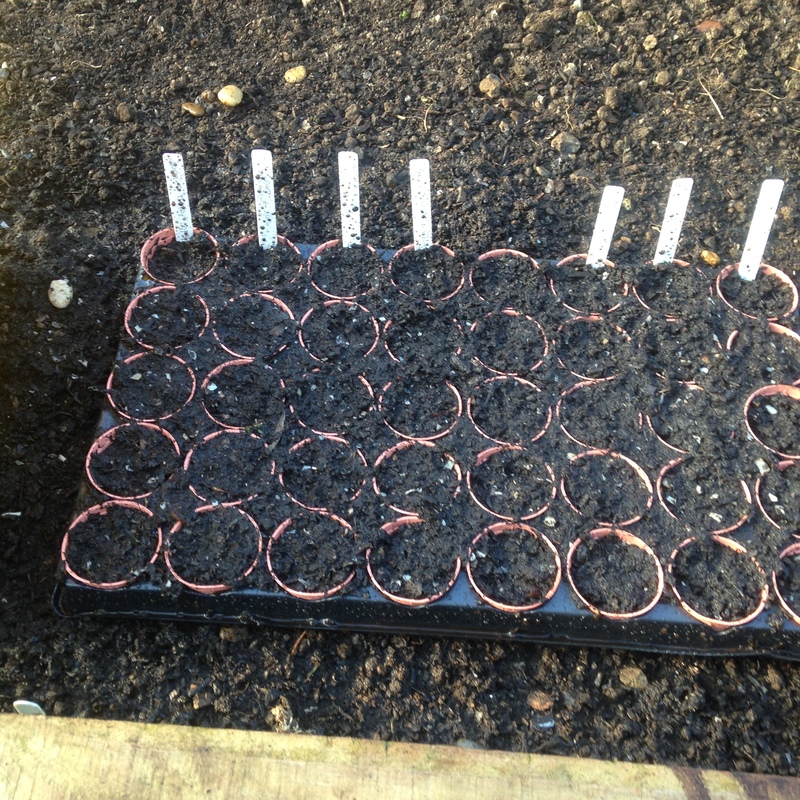 I have also plantes some lettuce seeds directly into the soil in the polytunnel. 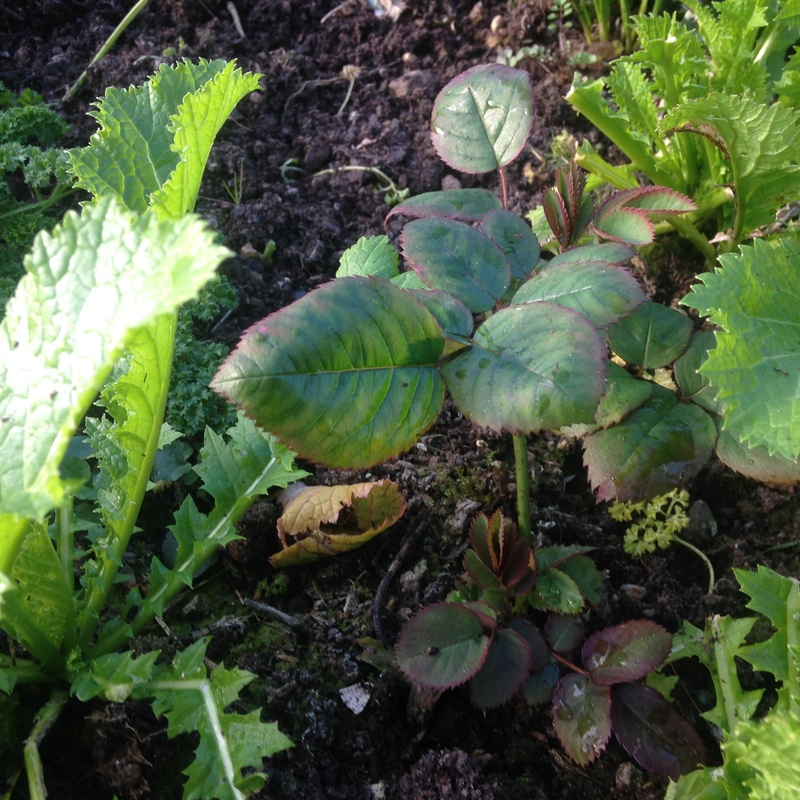 My favourite at the moment is Green in the Snow, a lettuce with an intense mustardy taste that has grown well all winter in the tunnel. It taste wonderful with homemade mayonnaise in a rye bread sandwich and rare roast beef slices. By the way, the little rose plant is overwintering in the tunnel and will be planted out when any risk of frost is over. I grew it from a cutting and it will be an old fashioned pink climbing rose with sweet smelling big rose heads.